While your pet is here, he or she will also receive a nail trim and thorough ear cleaning. 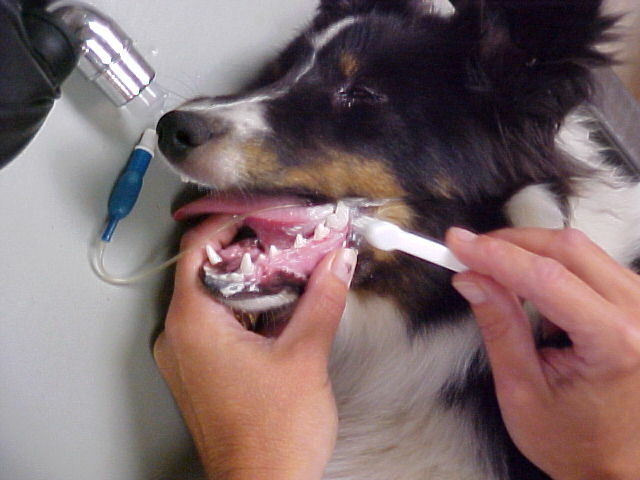 The teeth are brushed using a semi-abrasive fluorinated toothpaste. If any baby teeth are retained and appear to be hindering the growth of the permanent teeth, they are gently removed at no extra cost.